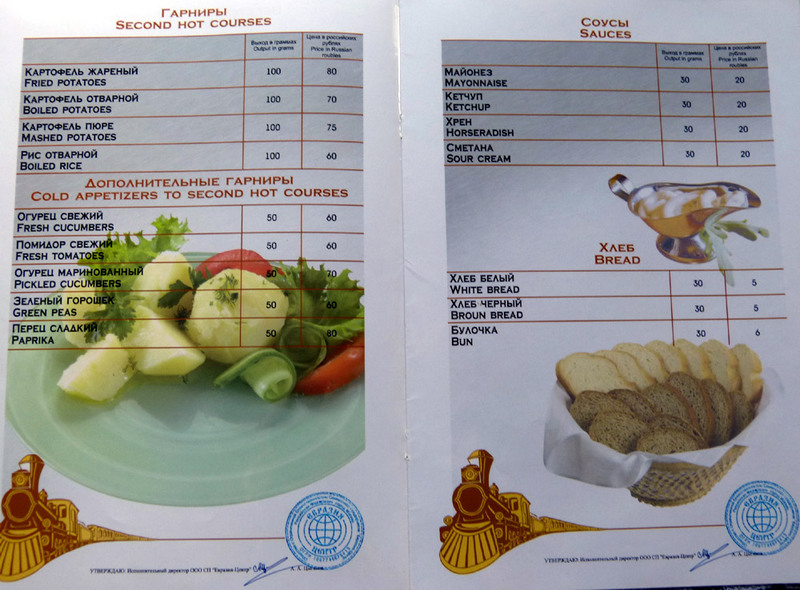 Here is a typical trans-Siberian restaurant car menu, this particular one from the Russian restaurant car attached to train 4 from Moscow to Beijing for the Russian part of the journey. 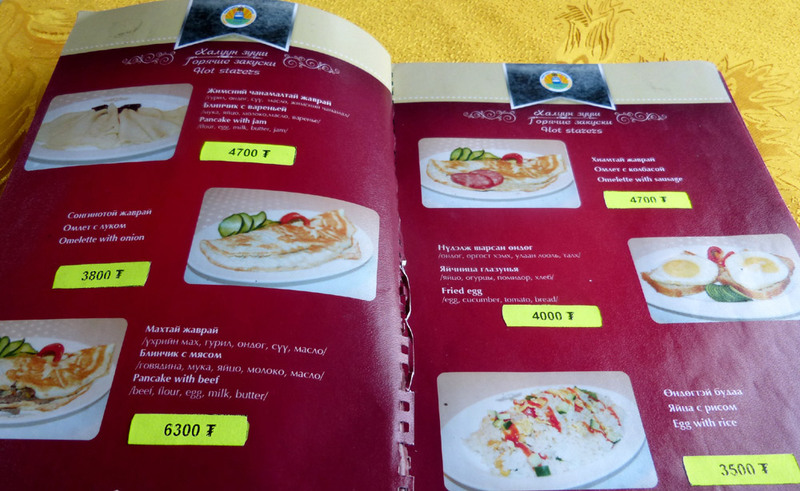 Prices are from 2014. 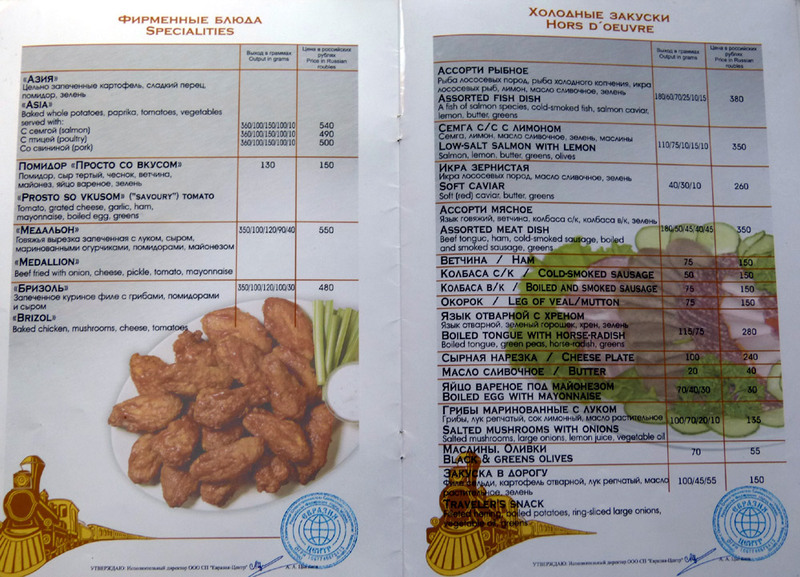 Don't expect everything on the menu to be available, they have usually run out of this or that, or have just a selection of the things on the menu. Courtesy of traveller Ray Perry. 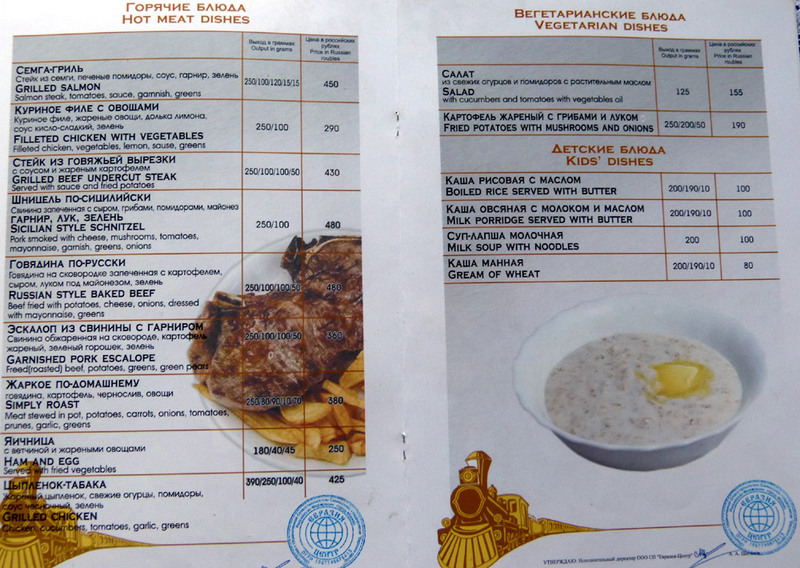 A typical restaurant car menu from a Mongolian restaurant car. 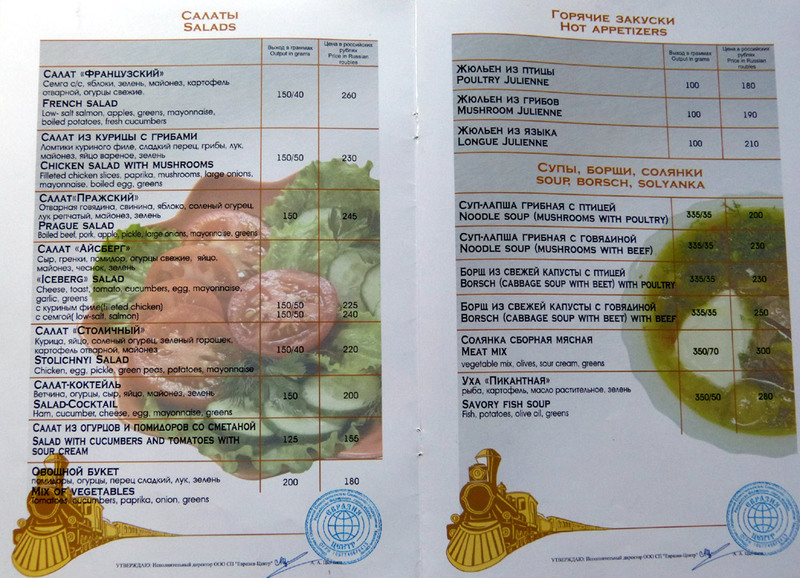 This one is taken from the restaurant car attached to Moscow-Beijing train 3, prices are from 2014. 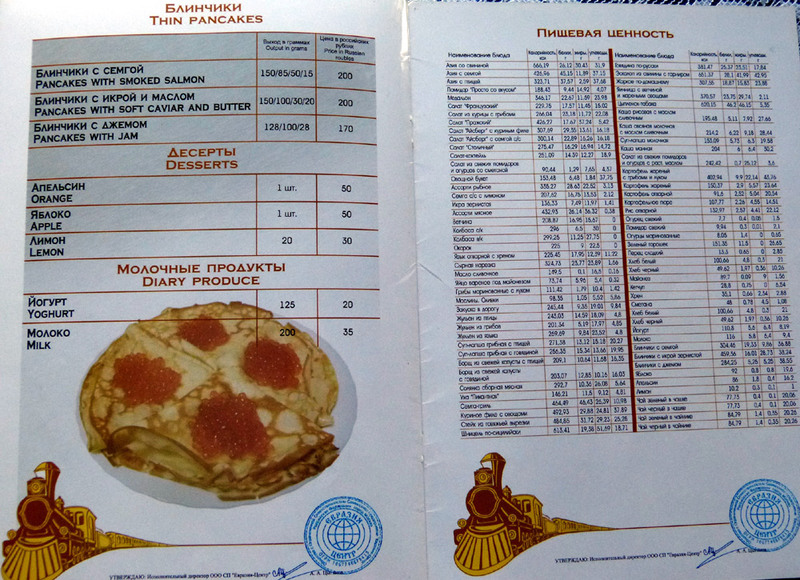 Courtesy of traveller Ray Perry.